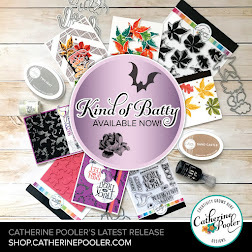 It's release time at Catherine Pooler Designs. 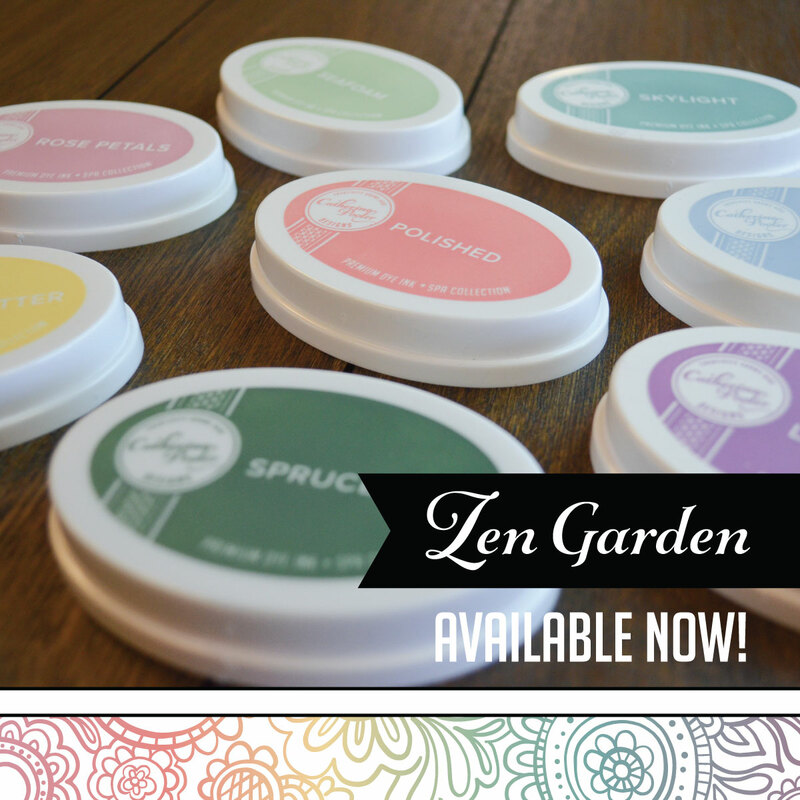 We have three new amazing bundles of products available, as well as other new products! 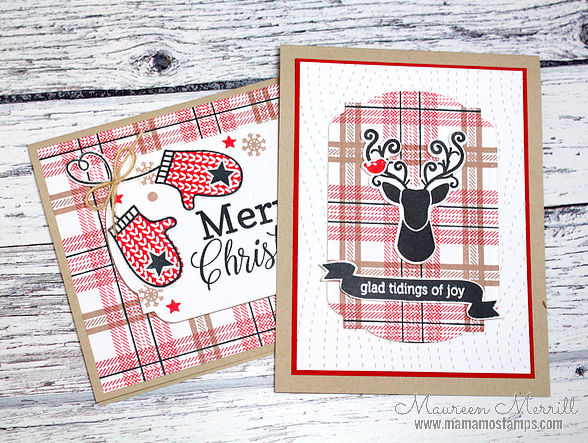 Today I'm featuring the Snowy Day bundle. 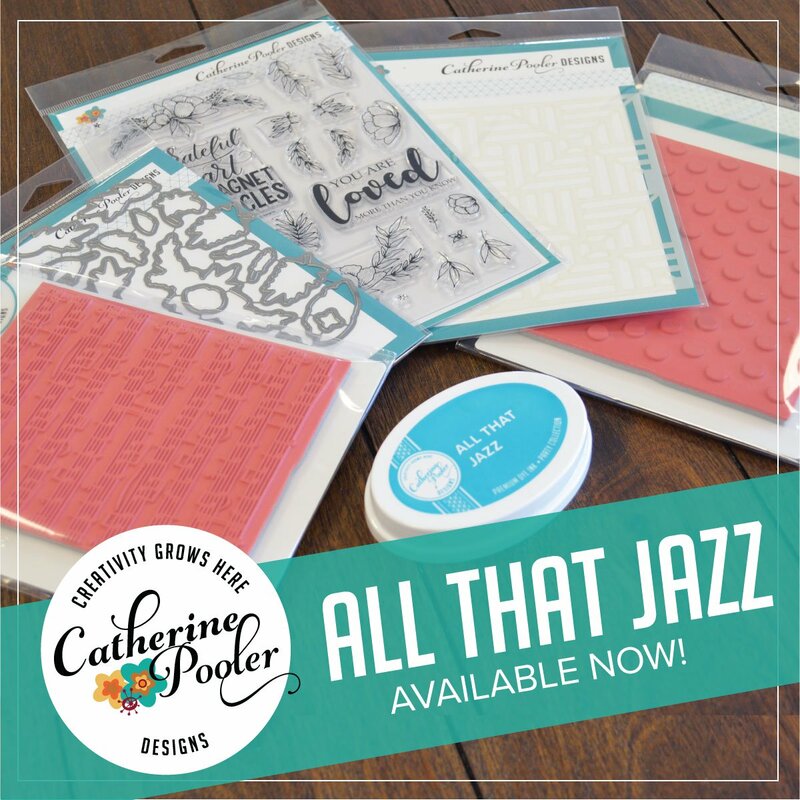 I couldn't choose just one pattern here, so I used a few sheets, cutting the paper into 3/4" strips and adhering them to card stock before die cutting with the large scallop die from the Tags, Etc. die set. 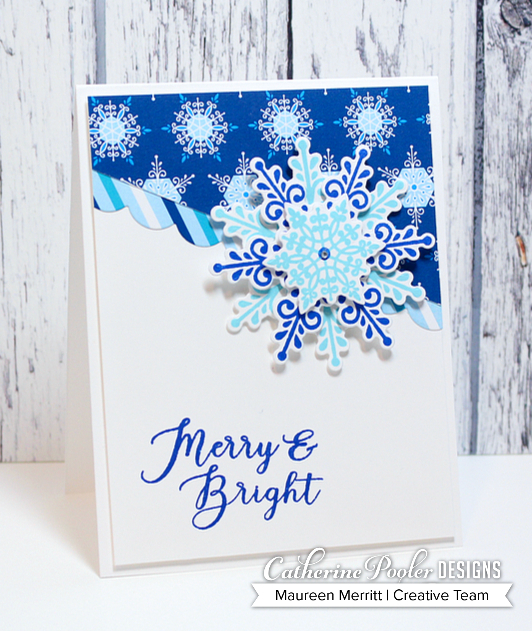 I stamped the Peaceful Snowflakes in It's a Boy and Something Borrowed ink, then die cut and layered them to create a focal point. These snowflakes are just stunning! This time I've used just a bit of the Snow Day Patterned Paper and added an extra snowflake to my focal point. I love this CAS layout. This would be a great one for mass producing! This is another great card for mass producing. 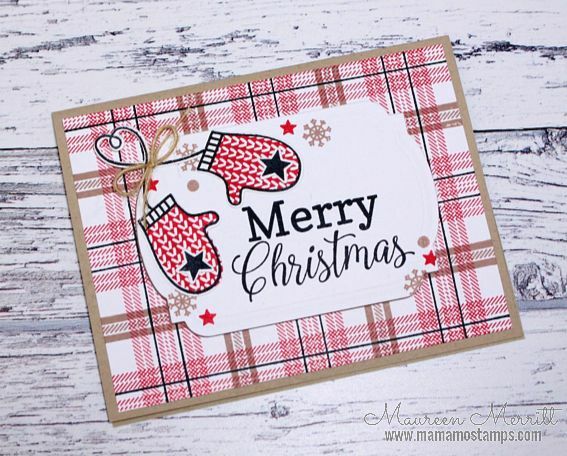 I know that the holidays are quickly approaching and you may have already sent out your cards for this year. 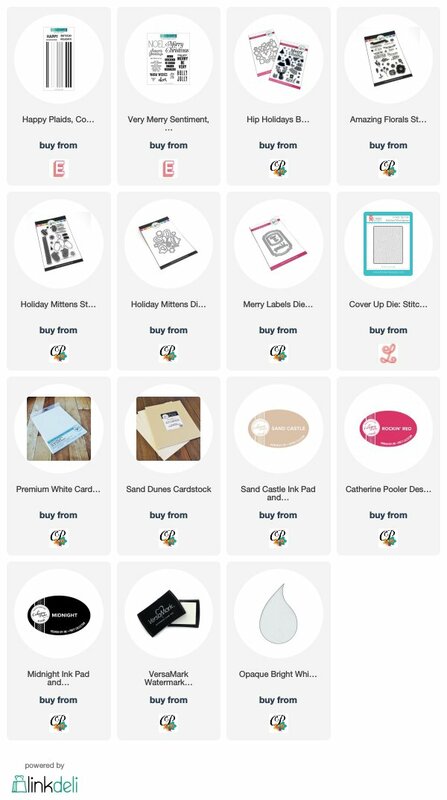 However, the Snowy Day Collection Bundle will get you into the winter months as well. 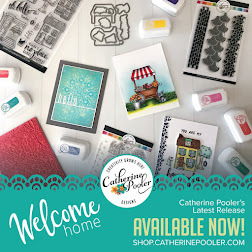 Pair the Snowy Day Patterned Paper with the Think You Layered die and you'll have thank you cards for your holiday gifts ready in no time at all! That's all from me today. Time for you to hop along! 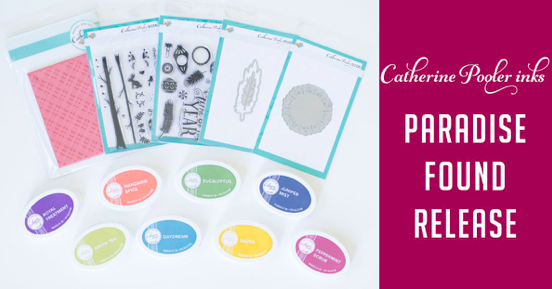 Leave comments on each of the blogs to be entered to win a $25 gift certificate to Catherine Pooler Designs! 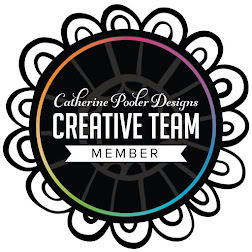 Back in September I attended In the MKNG at Bethel Woods Center for the Arts with Laurel, Catherine, Kristie and a few other friends from the CP Designs Creative Team. 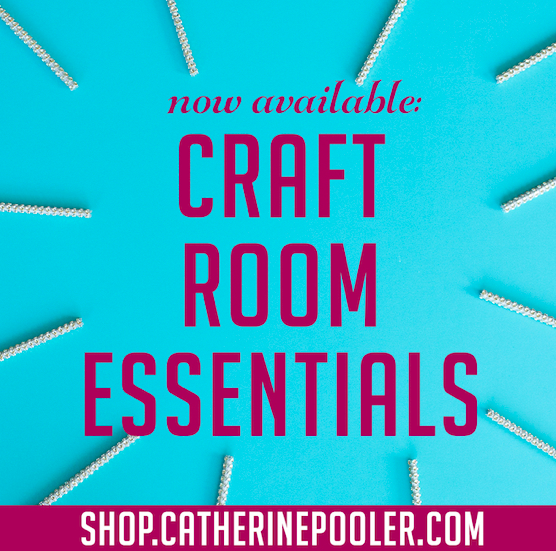 I've been a bit out of the loop as far as new products on the market and had a great time seeing what's available. 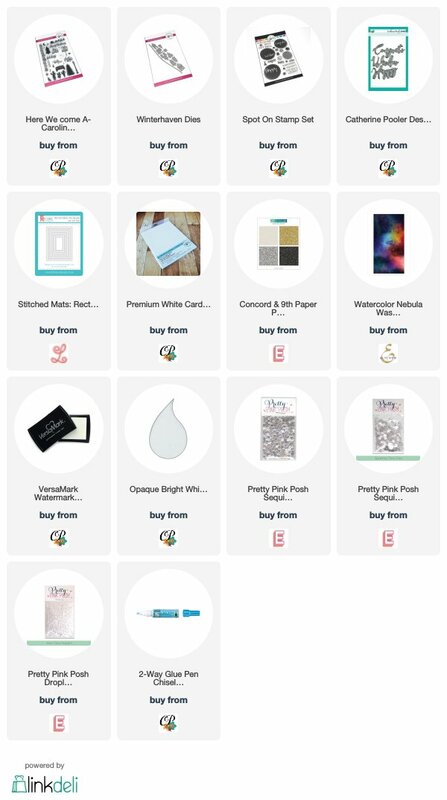 My favorite product that I stumbled upon was the Watercolor Nebula Washi Tape by Altenew. Creating backgrounds like this yourself is messy and time consuming. After actually using this product, I'll never attempt to create a nebula or galaxy background again. 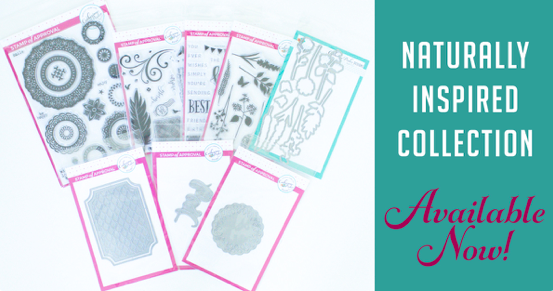 This washi is quick and easy to use and the results are perfect every single time. 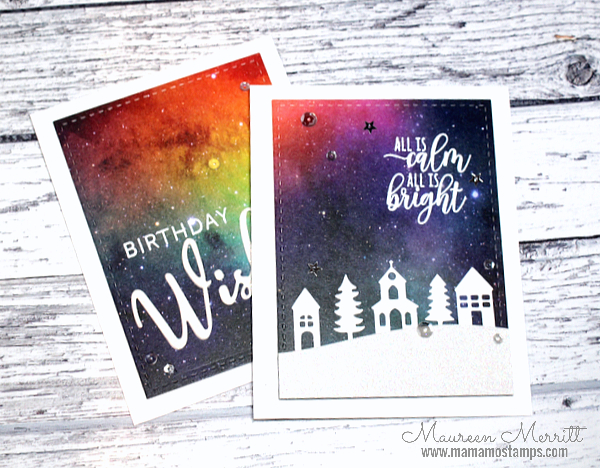 I created two cards using the Watercolor Nebula Washi, two different occasions to show the versatility. 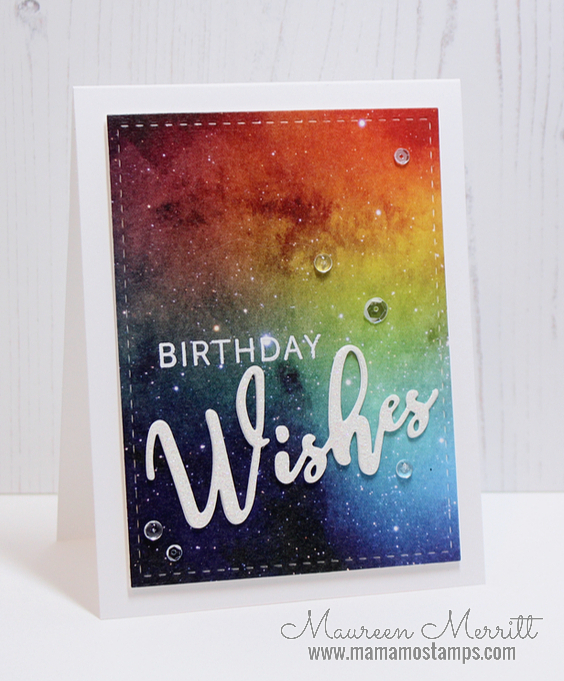 For my first card, I paired the Watercolor Nebula Washi Tape with the Winterhaven dies which were recently released at Catherine Pooler Designs. 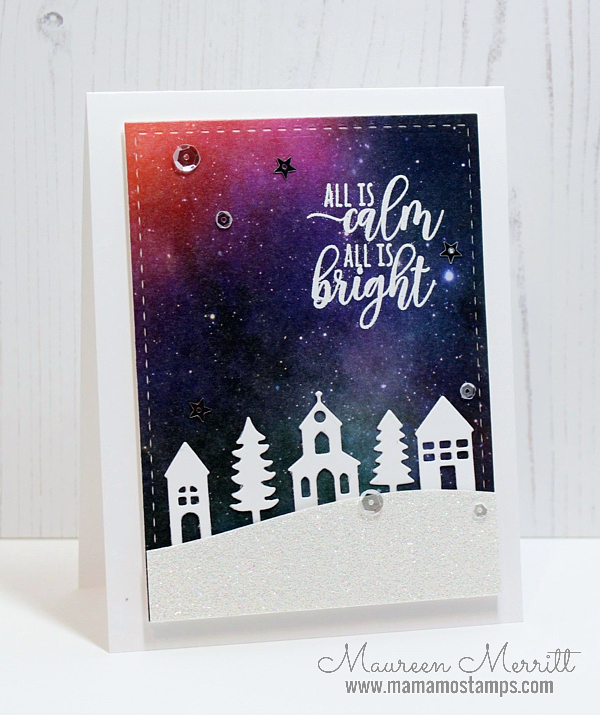 I just added the die cuts, heat embossed the sentiment from Here We Come A-Caroling and added some Clear Sparkling sequins and stars. 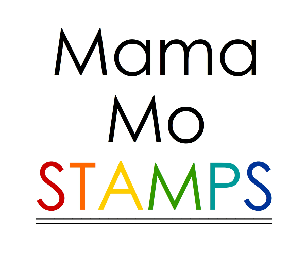 For my second card, I paired the Watercolor Nebula Washi Tape with the Spot On stamp set and dies. Again, super simple, quick and easy. This birthday card is perfect for guys or girls. A great one to have on hand. 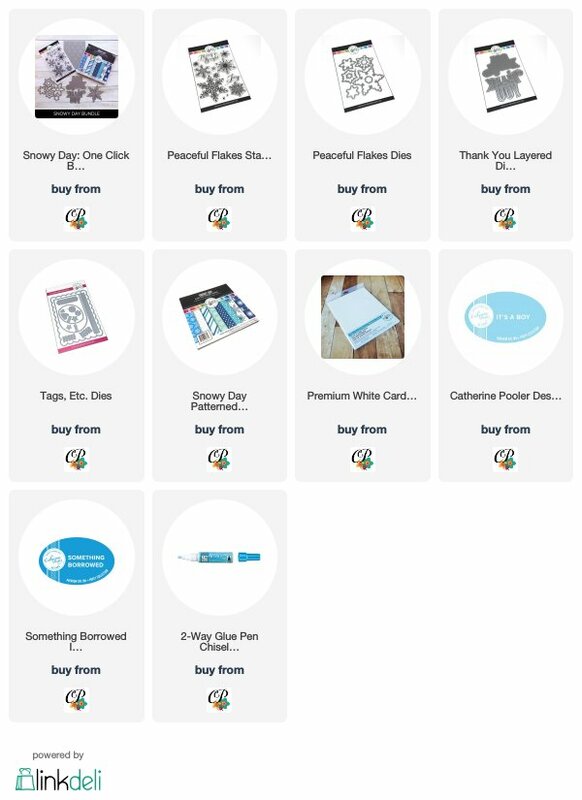 If you haven't gotten your hands on this product, or the other washi designs that Altenew has available, I highly recommend it!